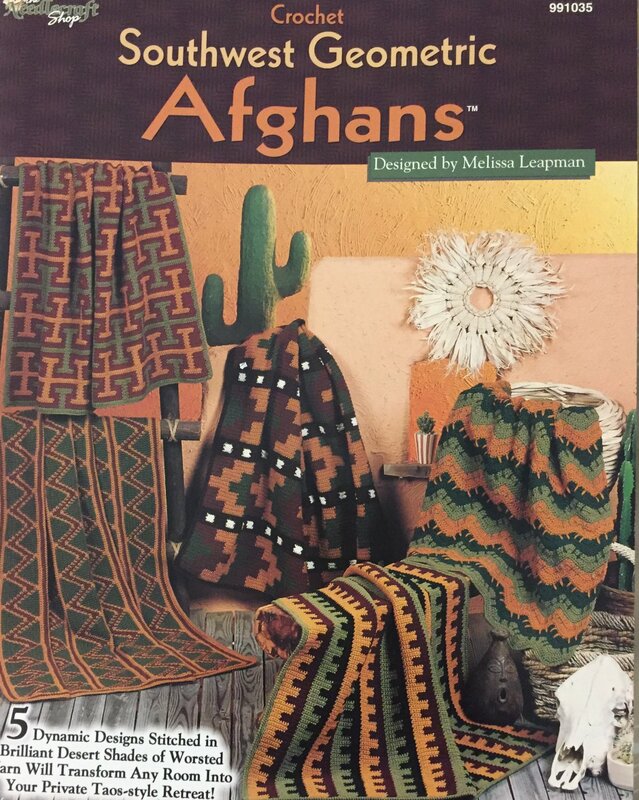 Southwest Geometric Afghans Use worsted weight yarn. Crochet 5 dynamic designs stitched in desert shades of worsted weight yarn. . Designed by Melissa Leapman. Ladie's Peasant Blouse Sewing Pattern Sizes 10 to 16 with English smocking.